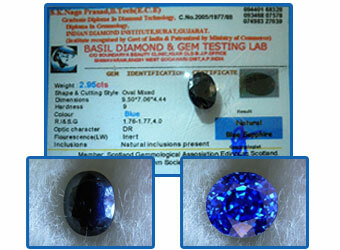 Blue Sapphire or Neelam is a gem of 'Corundum' family. Sometimes blue sapphires, white sapphires are found in the same mine, and that is why there is a mixture of colors in the crystals of these gems. Blue Sapphire ranges from light blue to a royal deep blue and all the shades of blue stones in between. There are square, pear, trillion, emerald cut, oval, cushion, and heart shaped cut loose blue sapphire gems in many color and shade. Blue sapphire is the classic and most popular sapphire gemstone color, and is usually what is oblique when one speaks of sapphire. Blue sapphire is harder than ruby and it is hardest of all gems. 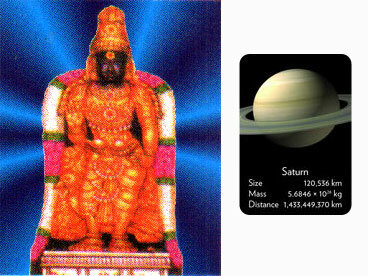 Blue sapphire associated with the planet Saturn (planet of wisdom, truth and discipline). Wearing an unheated blue sapphire brings discipline and bestows the ability to govern and lead others. Blue sapphires are sensitive gems; even when they are worn by the proper people, they can bring negative effects on time. So Blue Sapphire should always be worn for a test period to determine whether the particular stone purchased will do harm.